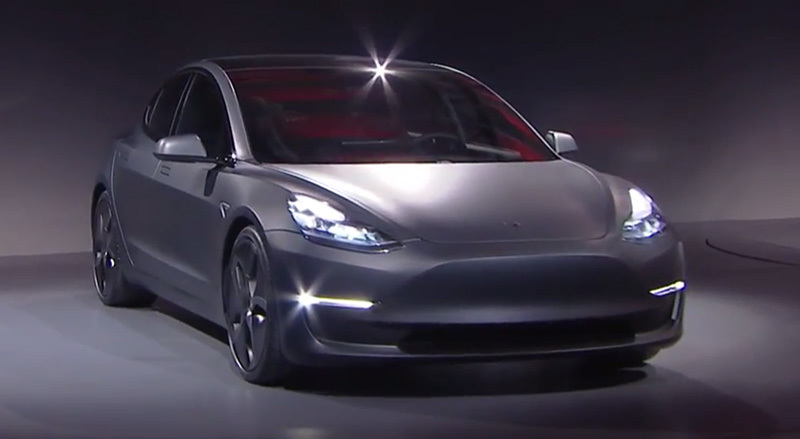 Less than 24 hours after Tesla opened up pre-orders for its “affordable” Model 3 vehicle, CEO Elon Musk said the company has already received 198,000 deposits and counting – valuing at least $7.5 billion worth of potential sales. That is, of course, assuming everyone who put down that $1,000 pre-order deposit follows through with purchasing the car, which is estimated to sell for an average retail price of $42,000. The deposit is refundable until production on your order begins. Even if it doesn’t turn every deposit into a sale, Tesla’s still netted a cool $198 million in the bank in its first day. Tesla opened up pre-orders before the car was even revealed, with people lining up outside of showrooms days ahead of the launch. 198,000+ vehicles is extremely high demand, so it’ll be interesting to see how Tesla manages to meet their pre-orders expectations – again, assuming everyone who put down a grand buys the Model 3. Did you put a deposit down for a Model 3? Do you plan to? Update: 232,000 deposits down in the first 27 hours.